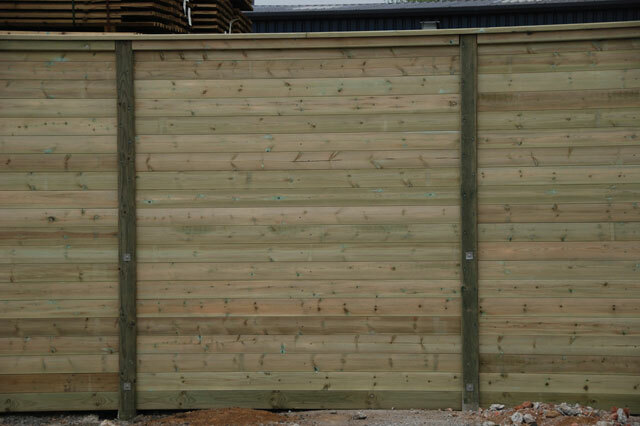 This fence is made using a lighter 20mm thick board and has not been through any testing and is not certified. It is used where the visual impact is more important than the sound impact. 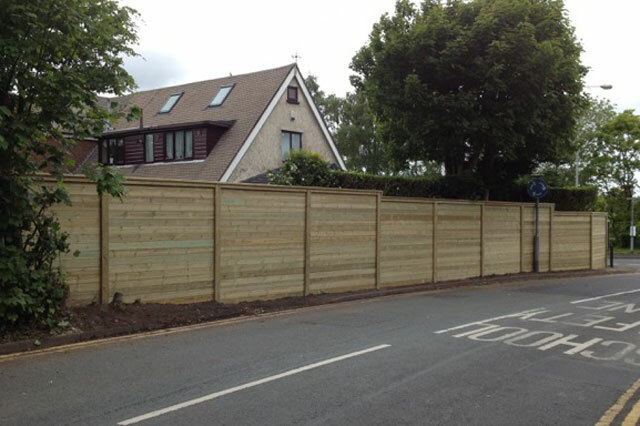 A lighter 20mm thick board compared to our Premier Acoustic Reflective barrier, maintaining the same 123mm cover face, planed tongue and groove boards with a small chamfer which form a "vee" join between the boards, suitable for installation where the required noise reduction is lower then that which would be provided by the standard Premier Acoustic noise barrier - or where a superficial mass of 12kg/m² or lower is specified. 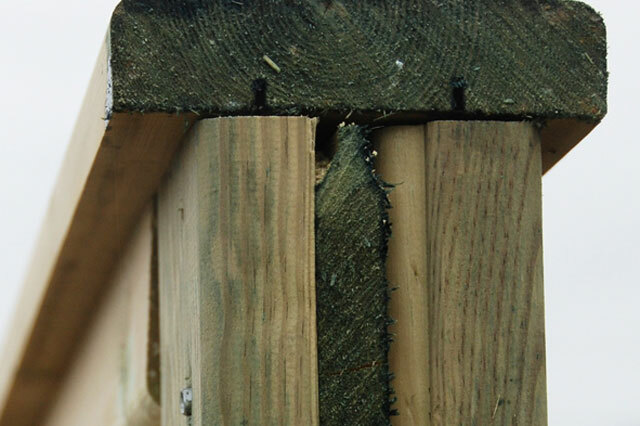 The timber posts used for most applications up to 4.0m high are a unique tuning fork design that traps the boards to provide continuous sound insulation, for barrier heights from 2.1m up to 4.0m the timber posts are reinforced with a 60mm square section galvanized steel spur, coated black which is attached to the back of the posts. This Reflective Light barrier offers customers on a more restricted budget the opportunity to reduce the impact of unwanted noise via a value for money acoustic system. 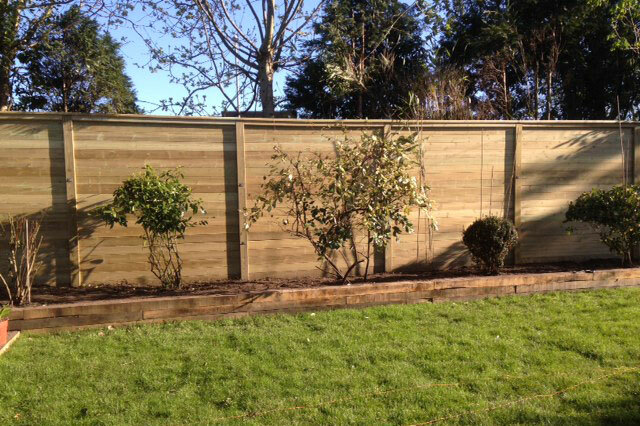 The Reflective Light fence can be used with our galvanized steel 'I'beam post for additional strength, but the fencing system cannot be used with/upgraded to Premier Acoustic Absorptive barrier, you would require the Reflective 25kg barrier to support the absorptive membrane. Please note that the Reflective Light barrier has not been tested or certified and is offered as a lighter and more competitive option to the Reflective 25kg barrier. If you require any further information or you would like a quotation, please do not hesitate to contact us on 01233 632967. Here are a small collection of images for the Reflective barrier - See our gallery page for more images. Click on the images to see a larger photo. Copyrights © 2015 Premier Acoustic Fencing. All Rights Reserved.